You don’t have to suffer from runny nose, watery eyes, and congestion from Pollen, Hayfever, Dust and other contingents in the environment. 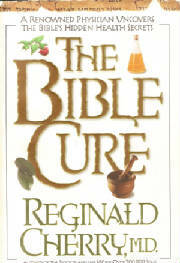 We need to equip ourselves with learning and reading pertinent information such as books that can further educate us on what we can do to maintaining good health, practicing and using preventive medicine and home remedies that have been recommended by those in the medical profession who are Christian believers whose knowledge can be of valuable resource to us. Topic is Tips for Overcoming Allergies, listen to the recorded segment anytime on the website. Follow Apostle Williams on Facebook, Google+ and Blog Talk Radio. Order @ 2books and get your (3) book free of equal or lesser value. To receive these Discounts or Multiple Quantities Discounts contact Oasis News Publication office by email at oasisnewspublication@yahoo.com or you may call our office at 773.683.5540 Monday through Friday 11:00 a.m. to 4:00 p.m. and place your order via Voice Mail and to receive a billing invoice. Orders must be Pre-paid with Master/Visa Card or Pay Pal Account prior to your order being shipped. 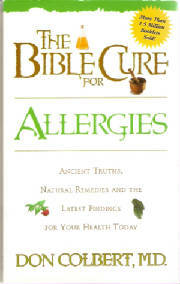 Discover the Bible's Hidden Health Secrets! What Bible foods can help lengthen your life? What herbs and vitamins should you take? What is the Mediterranean Diet? 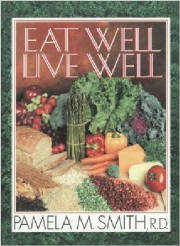 A must read for your personal health and wellness! by Don Colbert, MD (Siloam Paperback). Do you suffer from depression or anxiety? In this concise, easy to read booklet you will discover a wealth of usable information to help you break from depression and anxiety! This book contains findings your doctor may have never told you! Discover a wealth of information to help you reduce and prevent High blood pressure, and bring it under control. Prevent strokes, heart attacks and even cancer. 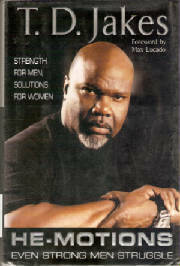 Strength for Men, Solutions for Women. A guidebook to help you understand your own needs for emotional and spiritual support. Practical and sound answers to assist you in expressing your needs and having them met in a healthy, and wholesome ways by those you love. 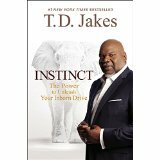 If you are ready to unlock the confines of where you are to discover the freedom of where you were meant to be, then INSTINCT is your key! These are some of the great books that our Women's Fellowship and Book of the Month Club have read and currently reading. Books that can open up your understanding, increase your learning and awaken your spiritual appetite for More! 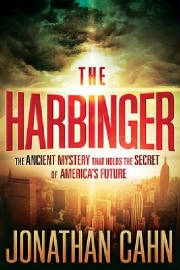 The Ancient Mystery that holds the Secret of America's Future. The Harbinger opens with the appearance of a man burdened with a series of messages he has received in the form of nine seals. Each seal unveils a prophetic mystery concerning America and its future. Her name is Dinah. In the Bible, her life is only hinted at in a brief and violent detour within the more familiar chapter of the Book of Genesis that are about her father Jacob and his wives, and his dozen sons. 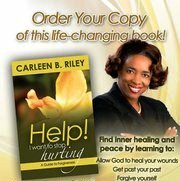 This book is the triumphant journey from pain and suffering to happiness and peace through Forgiveness. It shares, painful, heart-felt stores of women living behind walls as emotional cripples and how they overcome their personal battles through God's Love and Grace. DVD MOVIES - GREAT FAMILY ENTERTAINMENT! Movies that tell stories that reflect our personal battles and struggles, with positive solutions and an inspirational message to strengthen and motivate you to make necessary changes to have a better and more productive life! The compelling story of Esther, born into poverty Hadassah grows up to become a beauty who catches the eye of the powerful King Xerxes and ultimately becomes his bride. Despite her position as Queen, Hadassah life is in danger, as the state has decreed that all Jews be put to death. 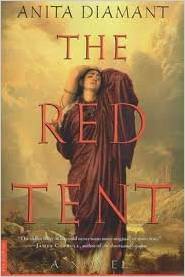 She now struggles with how to save her people, even as she attempts to hide her heritage as a Jewess. Honor Begins At Home. Follow the daily lives of four men who are bound together professionally and become friends for life. This movie relates to the problems that men face as taking responsibility and accountability for the personal lives and their families. Priorities must be set and moral integrity and righteous living is the key to having successful relationships. Is your marriage relationship heading towards the Divorce Court? Relationship are not based on 50/50 participation, it requires 100 per cent of both individuals commitment and loyalty in order to survive the test and trials that couples will have to endure together to become one in mind, body and spirit! 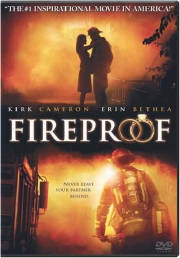 Fireproof your marriage with insurance to secure it from being destroyed and damaged beyond repair. This compelling faith drama is filled with humor and heart and it teaches the necessity of having a personal, itimate relationship with God through daily prayer and intercession for yourself and others. 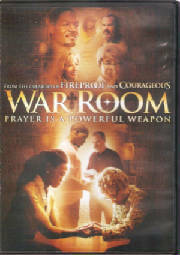 Prayer changes things, and people!! It's a great movie for the entire family!! The most important chapter of the Greatest Story Ever Told for families to enjoy! 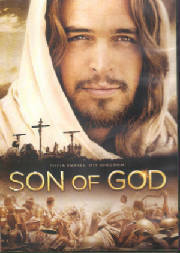 The portrayal of the life of Jesus Christ from his humble birth through His teachings,crucifixion and ultimate resurrection. 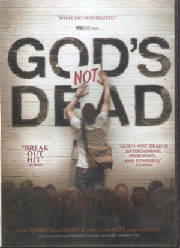 When an atheist Philosophy professor insists that the new students declare that "God is dead" one student is challenged to defend his faith and prove to the class that God's Not Dead! When a high school teacher is asked a question about Jesus in her class, her response lands her in deep trouble. The epic court case could expel God from the classroom and the public square, once and for all! 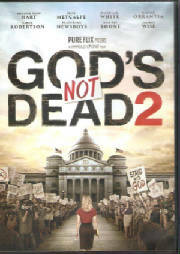 God's Not Dead 2 is a powerful call to action: Where will you stand?